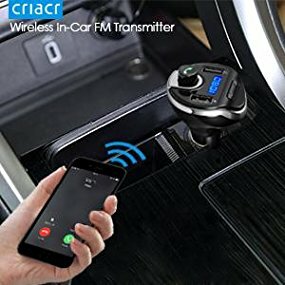 The Criacr FM Transmitter is a new Bluetooth FM Transmitter with Hands-free Car Kit Charger, which supports USB driver and TF card. It can automatically play and transmit the MP3 files of USB driver and TF card. 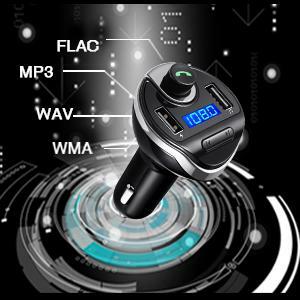 Adjust car FM to channel(87.5-108MHz) with pure rusting sound, then adjust the FM transmitter to the same frequency. HI-FI Stereo Sound: Noise and wind suppressed by CVC technology to create full duplex sound quality; support MP3/WMA/WAV/FLAC, anti-statics, enjoy beautiful music! 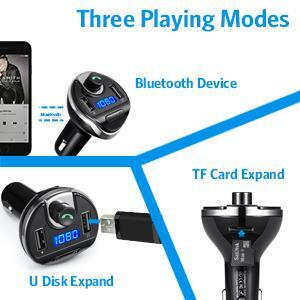 3 Playing Modes: With built-in microphone, Supporting mobile's A2DP function, work with SD, TF card and U disk, you can enjoy music from different ways. Universal Compatibility: with two USB charging ports, you can charge your phone or other device simultaneously. No need to worry about power shortage. 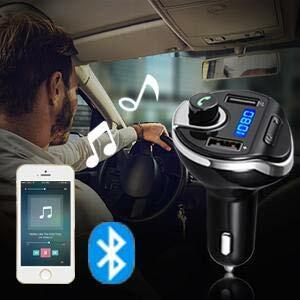 -Plug the FM transmitter into your car cigarette lighter socket for power and please find search this device with the name of T20. - Please change another stable channel if it has a lot of static because of frequency conflict. - Please press the knob to adjust the channel when the screen displays the channel interface. 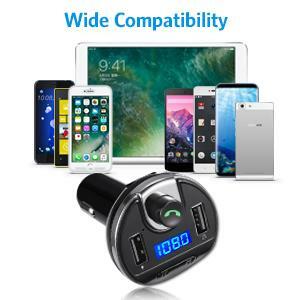 - Plug the FM transmitter into your car cigarette lighter socket for power and please find search this device with the name of T20. - Please press the "Next" and the "Phone" buttons together for 3-5 seconds, then you can change the language.